Cut 3 pincushion body pieces, 6″ X 7″ & 10 strips 1″ X 5″ for the inset. Cut the heart template out from the print-out or draw one of your own. 1. Layer 2 body pieces right sides together and center the heart template, tracing around it. 2. Sew each strip right sides together with 1/4″ seam allowance. 3. Press the inset seams open. 4. Sew along the traced heart outline and cut out the inside carefully, making sure not to cut through any of the stitching. 5. Pull the top square through the heart shaped hole you just created, gently poking out the points. Press firmly and flat. 6. Layer the pressed inset piece underneath the heart shaped hole, right sides up. Top stitch along the outside of the heart's edge, press. 7. Layer the top and bottom body piece right sides together, stitch with 1/4″ seam allowance around the edges, leaving a 2″ gap open and back-stitching at beginning and end. 8. Trim seam allowances (I used pinking shears) and clip the main body's corners. 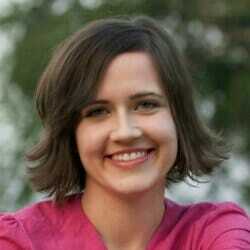 I'm Stephanie and I blog at Swoodsonsays.com about sewing and crafts for myself & my toddler son. I love upcycling, using up scraps, and having the freedom to make what I can't find or afford in stores. I spend way too much time online - you can connect with me on twitter/pinterest/facebook/instagram ! Beautiful! I can’t wait to make some and it will be easy to teach to a friend! Thank you!!! Love this wish it was in a PDF so we could download it. Hi Virginia, you can use the sharing buttons on the left side of the screen, select the three dots and then choose “printfriendly”. This will make a nice PDF of the article. Hope that helps and happy sewing! I think it’s a cute sewing project. Just darling, and simple for a beginner. This is really gorgeous! 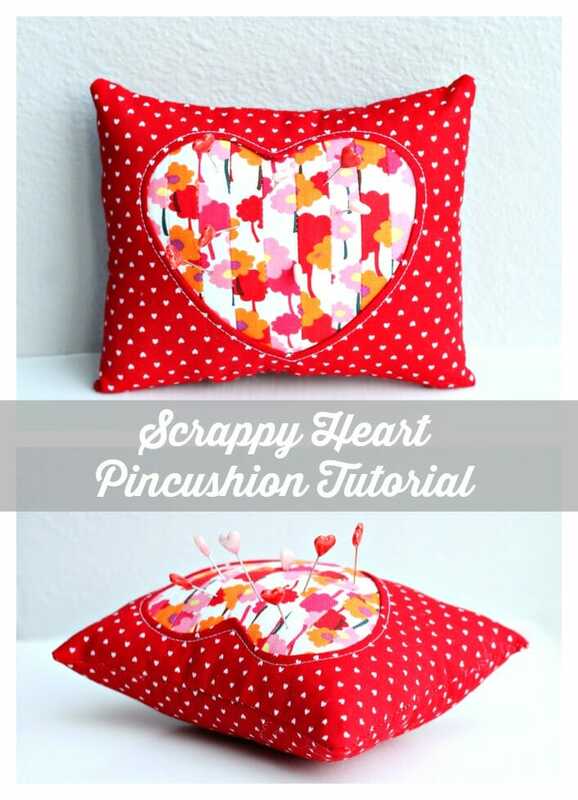 I love your heart pincushion! Thank you for sharing great tutorial! Lovely week and an Happy Valentine! So cute, and I love the fabrics you used. So, so cute, Stephanie. Love how you’ve used narrow strips for the heart – very effective. 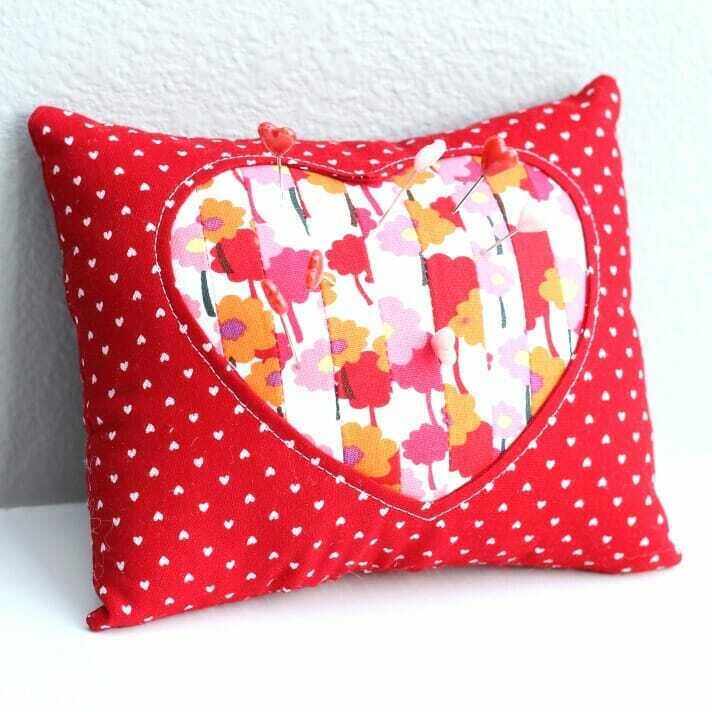 Love this little heart pin cushion! Great idea for using scraps.